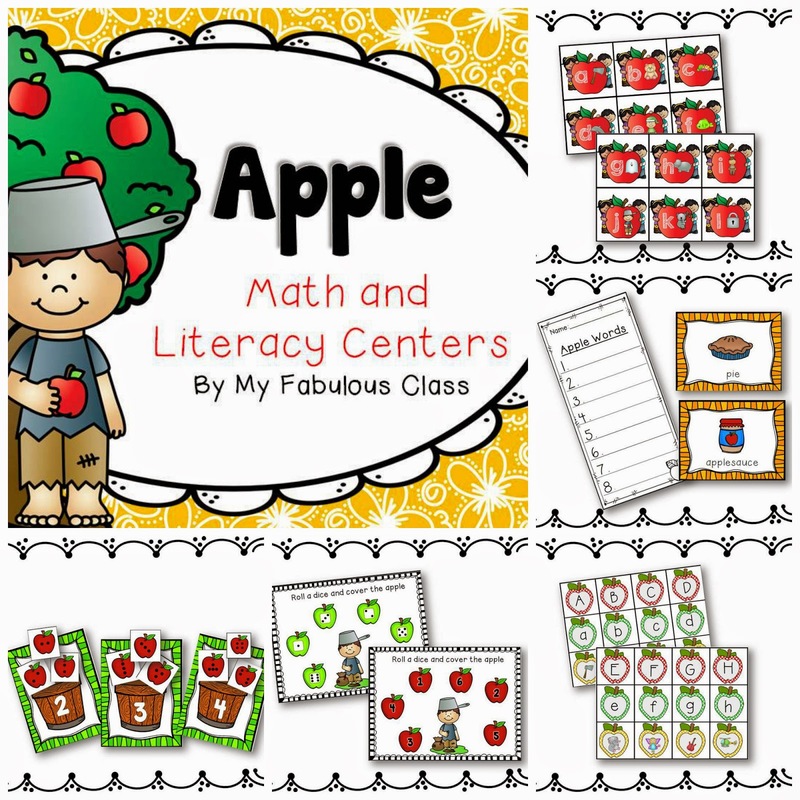 UPDATED: My Apples Math and Literacy Center was updated August 2014. If you purchased it prior, be sure you download the new version. I LOVE apples because it means it is the start of fall. I love everything about fall. I love the change in weather - my fall wardrobe is adorable. I love when leaves start to fall off of trees and yes. I LOVE pumpkin lattes. Plus, it means Thanksgiving, Black Friday, and Christmas are right around the corner! We started the week by tasting apples. 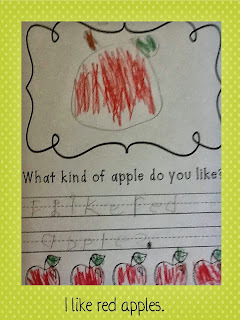 We made a graph and we wrote about which apple we liked. 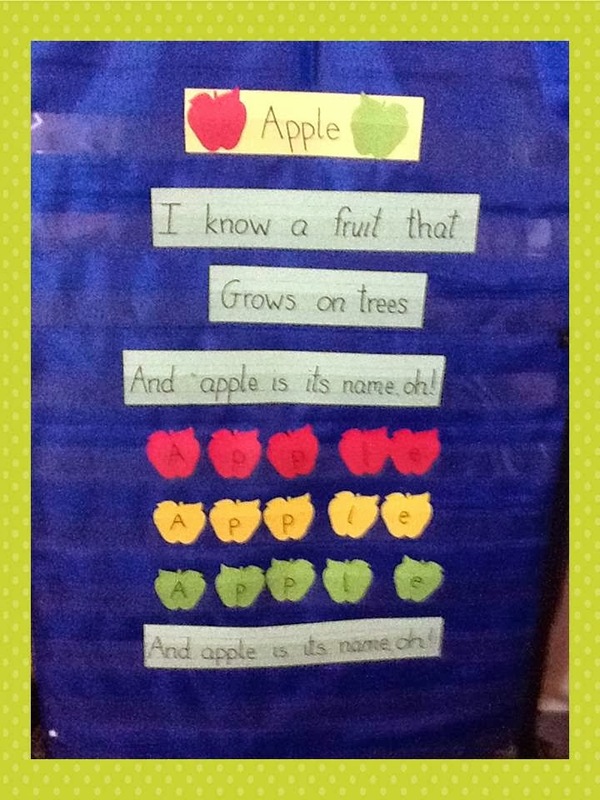 I found this great poem on Pinterest and we having been having a blast singing it. Then I realized it was in this month's Scholastic News! We went to the online Scholastic News site and listened to it several times. Yes, we will probably listen to it again tomorrow. They also had a cute video for Johnny Appleseed. My honeys are excited for his birthday tomorrow. I promised them a fun craft. 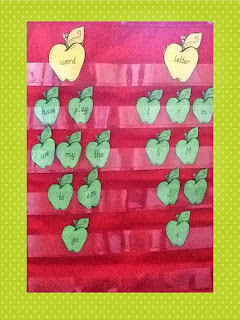 At our literacy centers, we have been matching upper and lower case letters with initial pictures. My honeys are having a hard time with initial sound this year so I need to think of a way to help them. They loved sorting letters and words. For math, we are working on developing a deep understanding of the numbers 1-5. 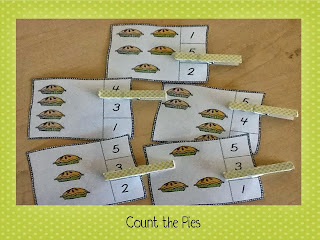 I made these pie counting cards. They love anything with a clip. Sadly, several clips were broken this week. This Math center was my favorite. 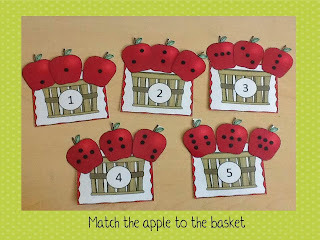 Each basket gets three apples. 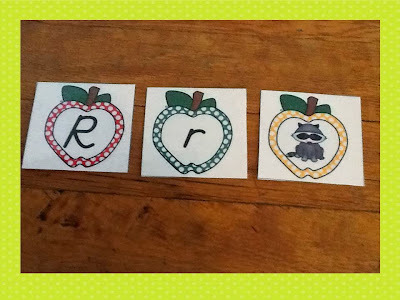 Each apple shows a different way to make the numbers with dots. It was a great way to practice subitizing. 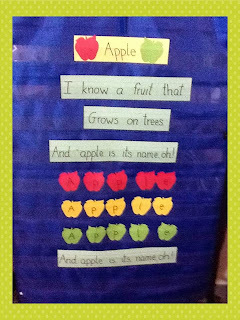 There is a recording sheet for the kids to try drawing the different dot patterns, but we haven't tried that yet. 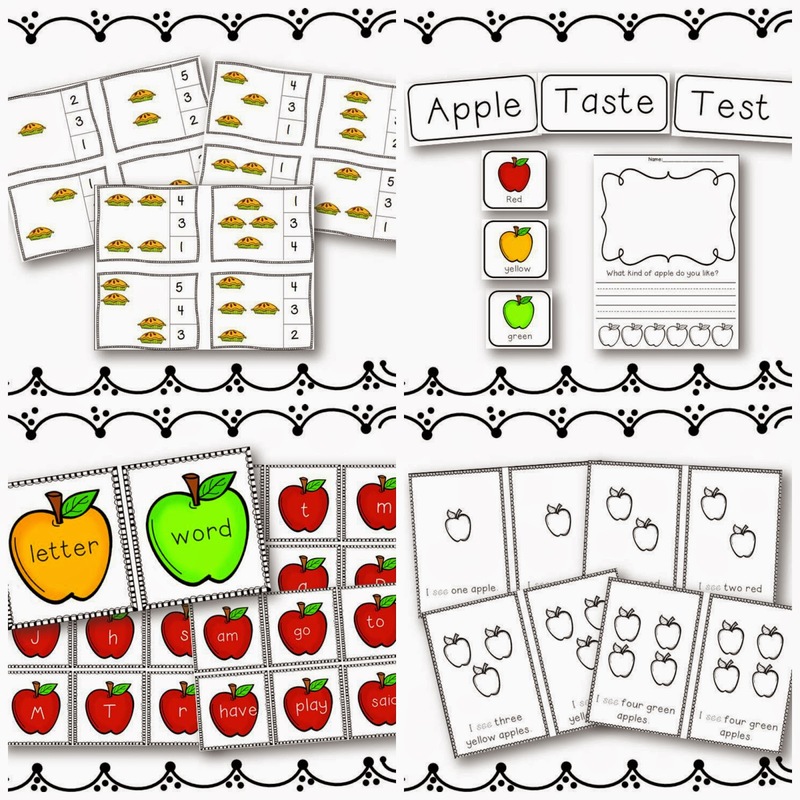 I am offering my apple pack for 50% off this week. You can find it here.